I am now living in Prescott, Az., and at age 84 after 22 years of retirement, I am finally sending out a much overdue thank you to all who participated in making my retirement such a happy memory for me. First of all I again thank the art ladies Linda and Nancy for capturing the real essence of me in their fabulous caricature. From my glasses all the way down to my earth shoes, including the NEWSDAY headline “Phantom Retires”, my golf club and the brown sports jacket that I wore on the brown days. Not only did my Northport Middle colleagues sign with well wishes, but my rival baseball coach Don Barkley signed as he cleared his conscience by admitting to using a couple 17 year olds the year he beat my team. I also thank the Board of Ed, some special students, Fran Zunno the great parent of great kids, and even a close friend of my wife’s for their well wishes. I periodically read different sections of the comments and each time that I do I clear my tear ducts for feeling so lucky. I have that famed poster hanging in my office and it reminds me every day just how lucky I was to have so many great friends and wonderful colleagues. The amount of time and effort of those who created the poster, and those who got all these signatures without my ever getting a hint or suspecting just amazes me. I am very grateful to all who participated in this endeavor so that I can have this treasure of memory. Pam Waldroup is showing her photography in another venue, this time at fotofoto gallery in downtown Huntington. 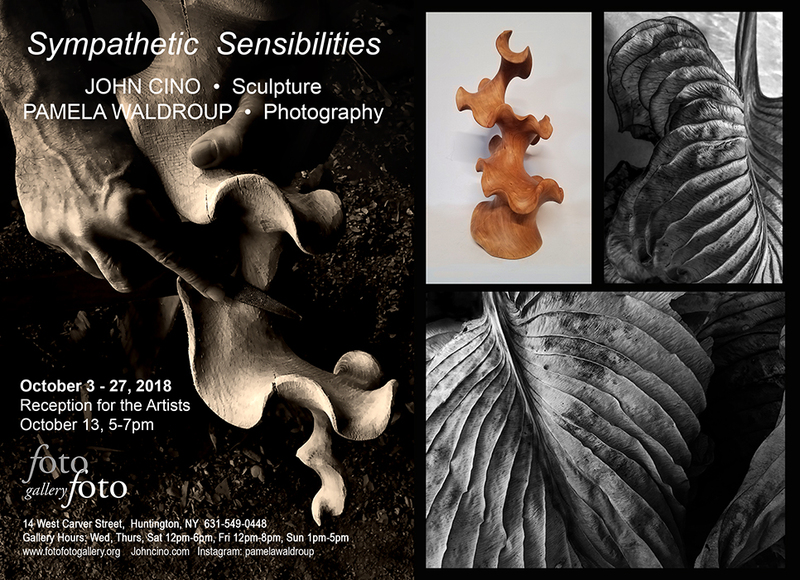 Pam and her invited guest artist, John Cino, have photographic works and sculpture in their 2-person exhibit, Sympathetic Sensibilities, from October 3-27, 2018. A reception is planned from 5-7 p.m. on October 13. The exhibition is also part of the Huntington Village Art Walk on Sunday, October 21st from noon to 4 p.m.
fotofoto gallery is located at 14 W Carver St, Huntington NY. Photographs by Pamela Waldroup are part of a three-person exhibit at the Alex Ferrone Gallery in Cutchogue. 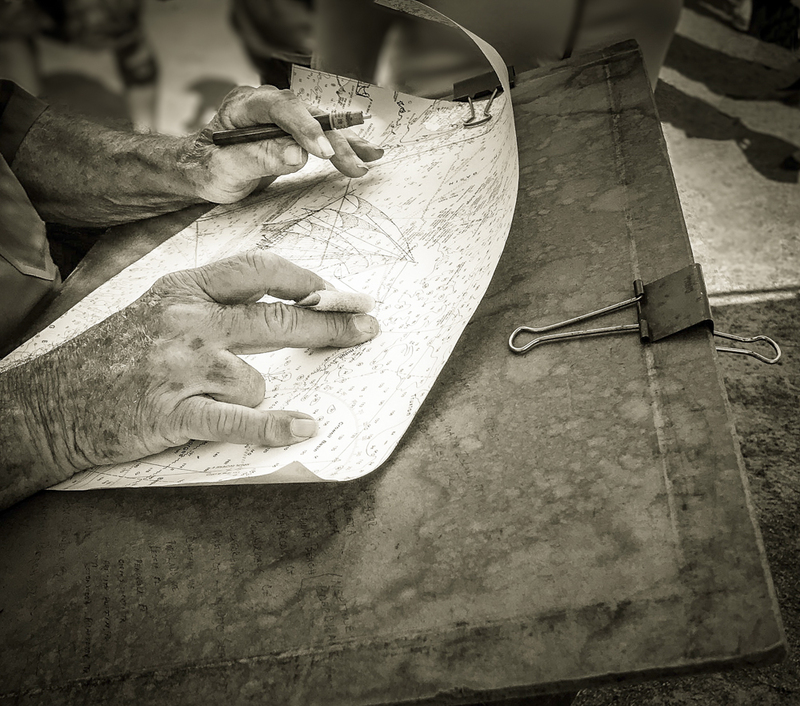 Member and webmaster Linda Quinn has a photograph, titled Cartographer, on exhibit in fotofoto Gallery’s 4th Annual International Phone-ography Competition Exhibit from August 1 – 25. The gallery is located at 14 West Carver Street, Huntington. The opening reception is Saturday, August 4 from 5-7 p.m.
Members Margaret Minardi, Pamela Waldroup and Linda Quinn are exhibiting their art work in the Salmagundi 2018 Annual Photography & Graphics Exhibition for Non-Members, on view from July 23 – August 3. The closing reception for the exhibit is Friday, August 3 from 6-9 p.m. at the Salmagundi Club, 47 Fifth Avenue at 12th Street in New York City. Margaret has two pieces in the Graphics Exhibition, Grackle and Juliet. Pamela’s photo, Café Reflections, Corning Glass Museum, and Linda’s photo, Through the Passenger Window, are included in the Photography Exhibition. Click on the images below for a larger view. 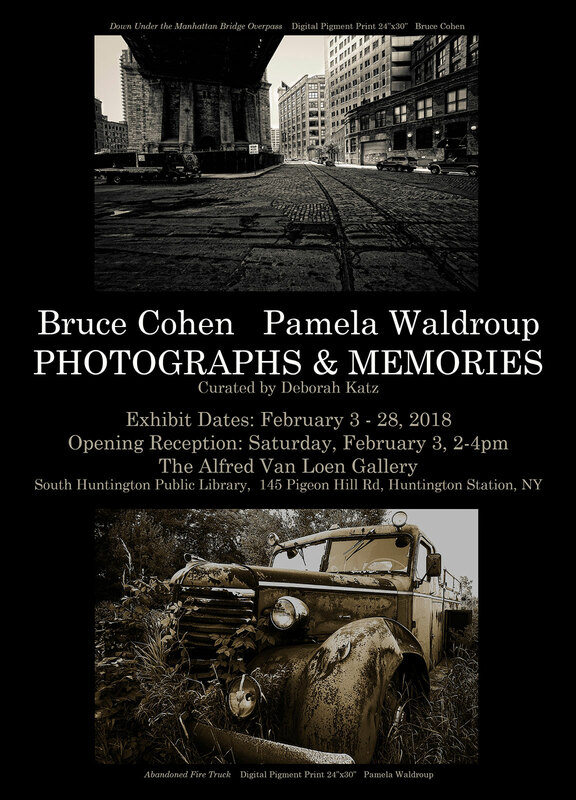 Member Pamela Waldroup’s photographs are part of a two-person show, Photographs & Memories, at the South Huntington Public Library, on display from February 3 through 28, with an opening reception on Saturday, February 3 from to 2 – 4 p.m.
Judy Bensimon and Miriam Feinstein invite everyone to see Making Adjustments. Performances are free, but call the libraries to learn if reservations are necessary. Download the flyer for dates and times. Many members thank the Executive Board members for the work we do. Eileen Finkelstein sent an apology for delay in responding – unnecessary because folks in Naples, Florida were kind of busy with hurricane Irma. Anne Crandall writes that this is her 26th year as a volunteer at St. Catherine’s hospital. From Pamela Waldroup — Hello All R-UTN Members! What a wonderful surprise to see so many friends at the Vanderbilt luncheon! I had a great time. Nicely done! Thank you to everyone who was involved in putting the event together. After reconnecting with so many of you, I want to share some good news! 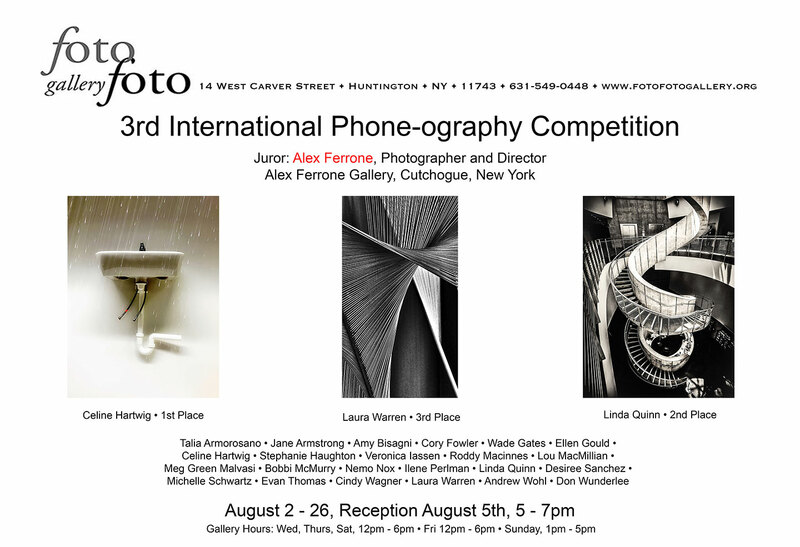 I am so excited and proud to announce my first solo photography exhibit in fotofoto gallery as a fotofoto gallery artist! If you’re in Huntington, on Sat, Oct 14 I’d love to see you. The gallery is just around the corner fromthe Paramount. On Monday, August 21, 2017, all of North America will be treated to an eclipse of the sun and Charlotte Koons will fulfill a lifelong dream of riding in a hot air balloon. The balloon ride is a late birthday present and Charlotte is very excited. We expect photos in the days to follow! A photograph by Linda Quinn has been awarded 2nd place in the Third Annual International Phone-Ography Competition at FotoFoto Gallery in Huntington. Joy Schmidt responded to Bobbi’s email correcting the date of the Winter Luncheon. How many times have we all “made mistakes”???? ?I live in Pittsfield, Ma. So I will not be there but I will be thinking of you all. When I see names from my past and I tell my 2 kids, we love it. Andrew, makes maple syrup,he has 270 chickens and we all sell eggs. He also has goats and cows etc. His wife cuts 45 lawns a week and their son is now 4 years old. Kristie is a teacher/librarian in the school district in Connecticut. She taught AP writing and decided to leave teaching, she was exhausted. The principal and Supt. begged her to be the librarian. We’ll see about that. A photograph by Linda Quinn, retired NHS Art teacher, is part of the 2nd International Phone-ography Exhibition at the FotoFoto Gallery, 14 W. Carver Street in Huntington. Thirty photographs were chosen for a four week exhibition from a field of 604 submissions. The exhibition runs from August 3 – August 27. Check out the web gallery of the exhibition here. Meetings held from 1:30 to 3:30 at the Library’s Community Room. NO BOOKS TO BUY. THE LIBRARIAN GETS COPIES FOR US. Call the locust valley library OR EMAIL ME FOR ADDITIONAL INFORMATION. R-UTN member Joan Wingerter invites you to the Annual Spring Musicale at the Stony Brook Community Church on Sunday, April 3rd at 3:00 where she will be performing, along with the Harp Duo – “Happy Harps”, coloratura soprano Rachel Schutz and French Horn player Edward House. It should be a very enjoyable afternoon. The Stony Brook Community Church is located at 216 Christian Avenue in Stony Brook. Tickets are $15, Seniors $12, Students $5. Programs begin at 6:30 p.m. with an introduction by film historian Irene Eckert, who will also lead a post discussion. Ann Crandall was among the volunteers honored at the the St. Catherine of Sienna Volunteer Recognition Luncheon. Anne has volunteered at the hospital for an amazing 141,861 hours of service. Barbara DeGere has a new name and new address, but she is the same Barbara. She has moved to Bayshore and is using her maiden name of Barbara VanBourgondien. Rosemary and Jim Dunphy are heading to Europe for their son’s wedding in Spain and a month-long visit to Italy. John Kobel wanted everyone to know that he missed the picnic for a very good reason — he and his wife Phyllis ver in Vancouver for the birth of their granddaughter. Debbie Tuite and her husband Larry have moved from Kings Park to Temecula, California to live near their grandchildren.